WordyDoodles: Lifesavers-- candy or much much more? Lifesavers-- candy or much much more? No, this isn't another chocolate review (although I've got a couple of those lined up!). 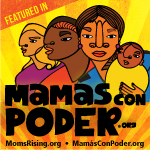 This is a great email from MomsRising.org on getting all kids health coverage in CA. I was surprised to learn that it's totally possible to cover all kids. We just have to make sure that our legislators don't pull a Jindal and leave federal money on the table because they didn't budget properly. Here's the email. (And yes, I'm one of the signers at the end.) Big kisses for anyone who signs on to this! Thanks to your amazing and sustained effort, Congress and President Obama have thrown a lifeline to children who need healthcare! Our national leaders have made healthcare for families a top priority during this time of economic crisis by passing several pieces of legislation that give states the additional money they need to cover more kids. They've thrown our kids a lifesaver, quite literally. But our work is not done -- California's leaders must act soon to take advantage of all possible opportunities to get federal funds. The federal government has provided the life preservers for our kids but they won't do us any good in storage! It's up to our state legislators to throw these lifesavers to our kids. Add your name (plus any personalized message you want to share) and we'll deliver it to legislators -- attached to some real candy lifesavers -- to remind them that we're watching and waiting for them to do their part to throw kids a lifesaver on healthcare. It's easy to get lost in the shuffle in Sacramento, but an attention-grabbing (and sweet) message always gets noticed. Please pass this message on to your friends, family members and colleagues in California right away so they can ask legislators to give kids a lifesaver too! The more messages -- and real candy lifesavers -- our legislators receive, the stronger our message that children's healthcare coverage is a priority that cannot be ignored. Our continued energy and commitment to this issue is more important than ever. The federal government has given California an opportunity to cover uninsured kids and bring badly-needed federal funds into our state. The governor and state legislature must not allow that opportunity to vanish. Thank you for all your work on behalf of California's children.